Elastic Shoelaces are ideal for people with limited back mobility, decreased hip flexion or limited hand dexterity. Lace and tie shoes in the normal manner just once. 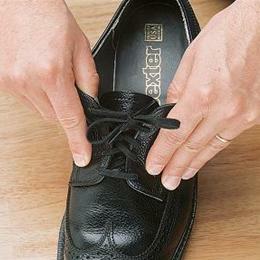 Shoes can be slipped on or off easily without tying and untying. Available in two lengths: 24" (61cm) or 37" (94cm), and three colors: Black, Brown or White.